EXPAND 2 click is an accessory board in mikroBUS form factor. 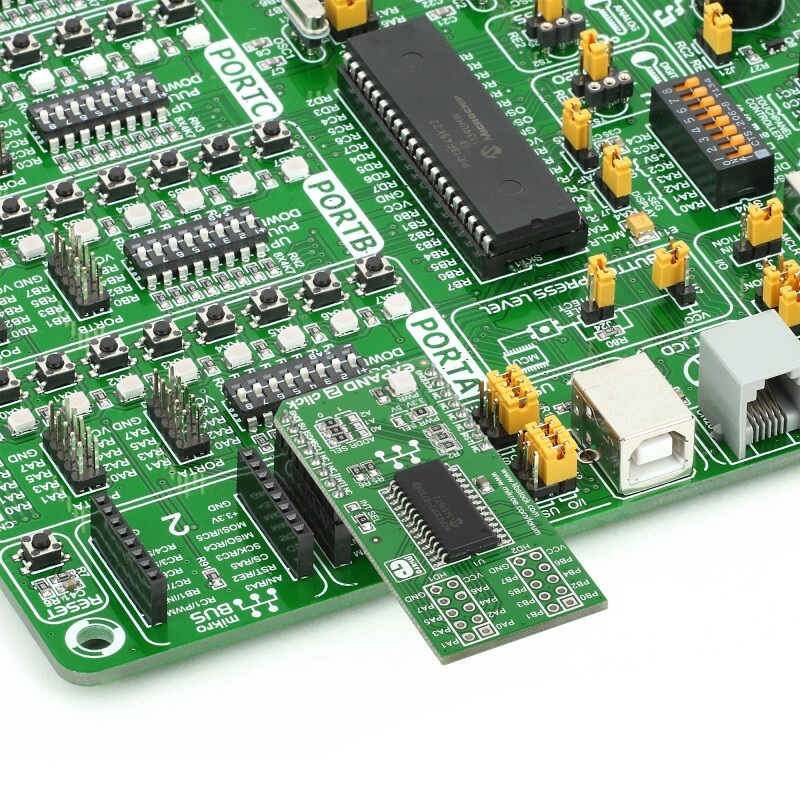 It includes a 16-bit I/O expander MCP23017 with I²C clock speeds up to 10 MHz for higher throughput applications. 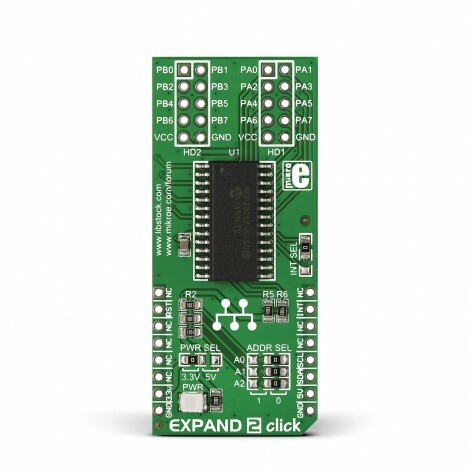 EXPAND 2 click is an accessory board in mikroBUS form factor. 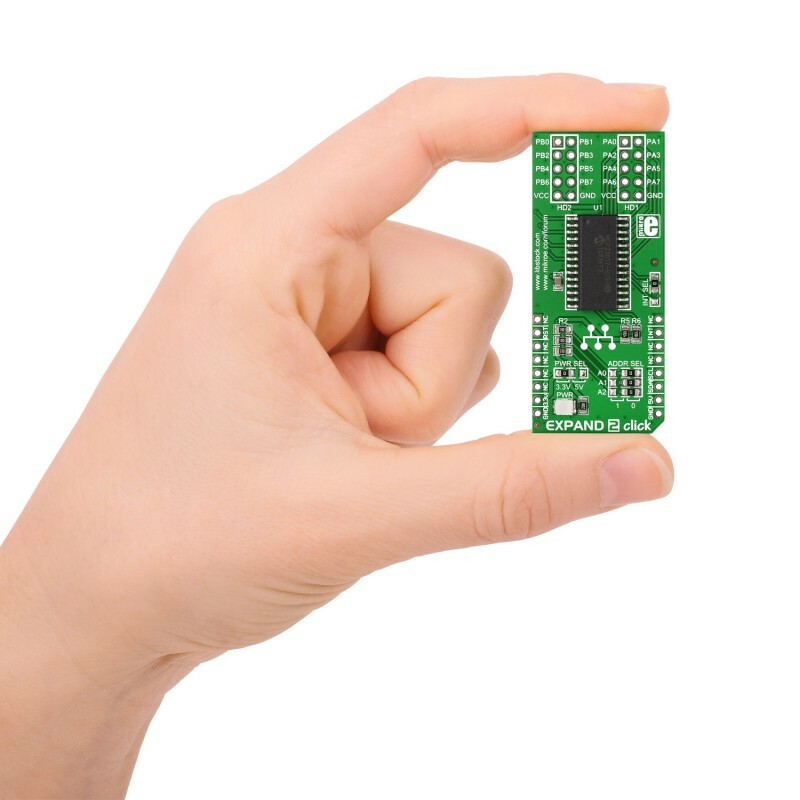 It includes a 16-bit I/O expander MCP23017 with I²C clock speeds up to 10 MHz for higher throughput applications. 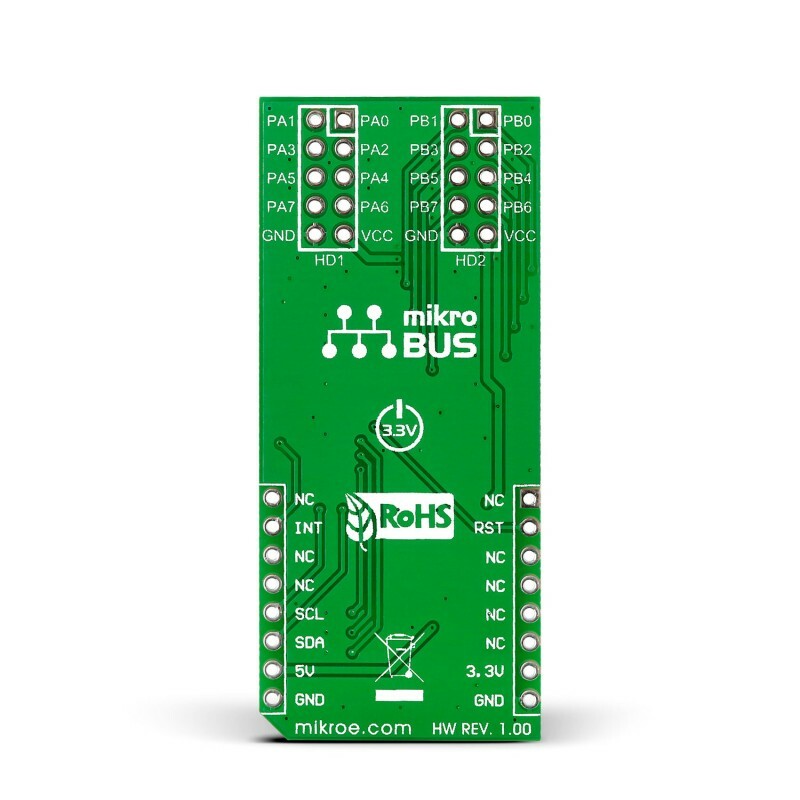 Three HARDWARE ADDRESS SEL jumpers allow you to configure board address and connect up to eight devices on the bus. Controller also supports interrupt-on-change feature. Board is set to use 3.3V power supply by default. Solder PWR SEL SMD jumper to 5V position if used with 5V systems.